I made this cake for one of the Futures of History: cake and theory seminar series seminars that we run as part of the Centre for the Philosophy of History. I try and make two different cakes and a batch of cookies for each one. Personally I think it is much easier to engage with philosophical issues if you have a plate of cake in front of you. The two papers were very good – they were given by our colleagues from the University of Ghent – see here. It was nice to meet them again and get to know them both a little better – they are lovely people. Pear, Cardamom and Sultana Cake: 4oz butter, 4oz brown sugar, 2 eggs, 8 oz of self-raising flour, 1 tsp ground cardamom, 4 tbs milk, 1lb of pears peeled, cored and shopped, 4 oz sultanas. Beat the butter and sugar together until pale and creamy, add in the beaten eggs. Sift the flour and cardamom together and fold in together with the milk. 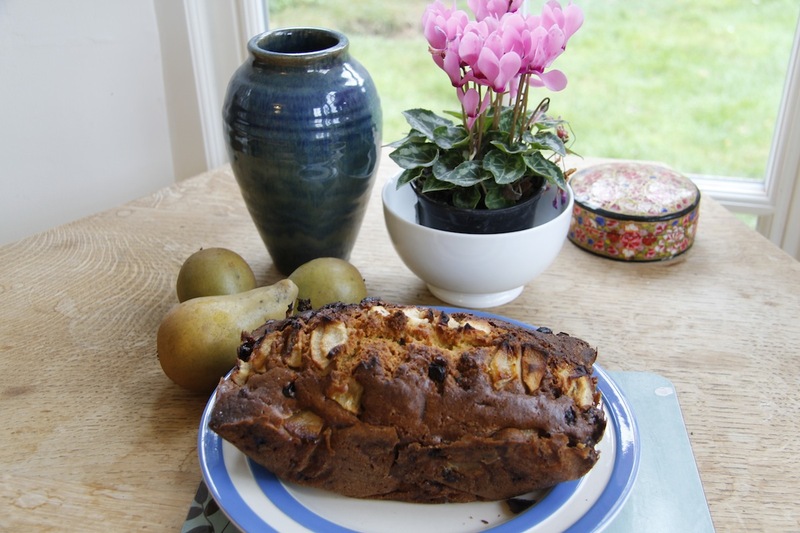 Add in the sultanas and most of the pears – reserve a few for decoration. Spoon mixture into a bread tin lined with baking paper. Arrange leftover pears on top. Cook in a medium oven (160C) for about one and a half hours – until a skewer inserted into the cake comes out clean. 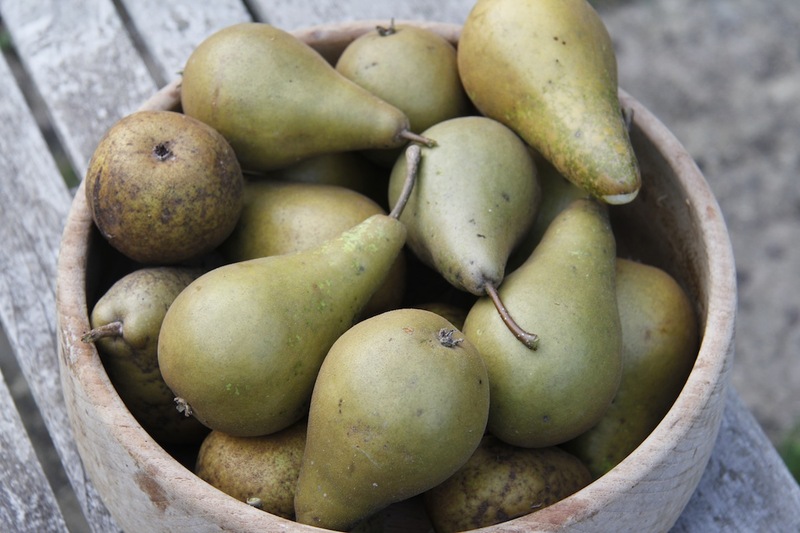 Of course the pears were from my pear trees – I have nearly eaten them all now – I can’t tell you how sad that makes me feel! Cant wait to see what you make with apples, if you get any decent ones. Our favorite is apple crisp. I personally love pear crisp as well. Hell, I’ll eat anything made into a crisp….. I eat a lot of apple puree for breakfast and a lot of crumble. I am thinking of making apple juice one of these years though. 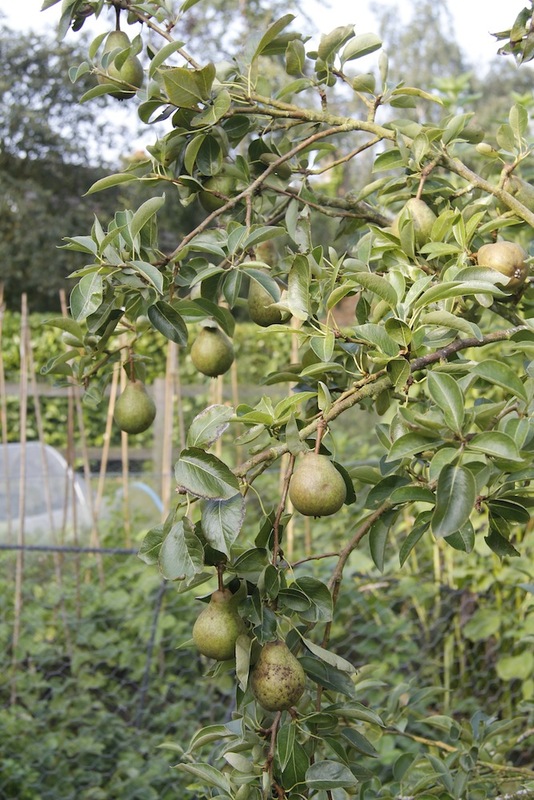 This year looks like there will be a glut of pears again – I can’t wait. I love pears.